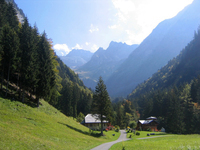 Switzerland is an Alpine country which was relatively poor before the twentieth century but has since been rich. Swiss gardens tend to be small, modern, well designed and well cared for. There are also some examples from Switzerland’s medieval and baroque history. 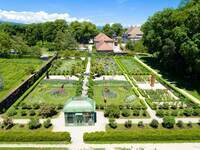 In addition to these Swiss Garden Finder entries, please see Garden Tours in Switzerland for information on tours and self-guided visits tailor-made tours and Garden Designers in Switzerland.